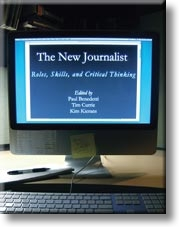 I’ve had the privilege of co-editing a great new textbook for journalism students called The New Journalist: Roles, Skills, and Critical Thinking. It was published last week by Emond Montgomery Publications and is available for purchase on their website. We’ve referred to it informally as “the digital take on journalism fundamentals.” The book takes the approach of focusing on the Internet as the primary medium for news. So, for example, we don’t have chapters on radio or television, or even traditional news writing. Instead, we have chapters on audio, video and structuring stories online. The core of the book, however, focuses on critical thinking, ethics and research applied to publishing on the web. Former Globe and Mail communities editor — and now tech journalist for Gigaom Mathew Ingram — discusses journalists’ changing relationship with the audience in Chapter 2. Open government advocate David Eaves and scholar Taylor Owen outline seven lessons newspapers can learn from the Internet in Chapter 3. Consultant and NYU prof Clay Shirky argues that society needs journalism, not newspapers in Chapter 4, a re-print of his hugely influential 2009 blog post. 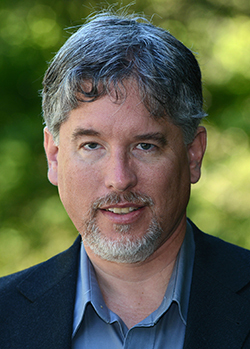 David Beers, founder of the highly respected independent news and commentary site The Tyee, recommends strategies for collaboration and niche publishing in Chapter 23, the final chapter of the book. Take a look at the sample chapters available — just a small part of what I believe is a superior guide to journalism fundamentals in the new digital landscape.